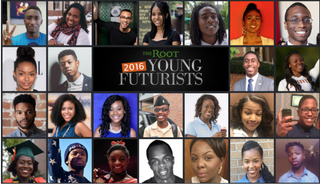 Please join us in congratulating the 25 extraordinary young people who have been selected as the 2016 Young Futurists by The Root. It is our annual tradition to recognize and celebrate young African-American men and women, ages 15-22, who exemplify greatness. While we often look back at the ancestors who forged the paths we walk today, it’s also critical to identify the trailblazers who will be leading us into the decades ahead. These 25 have already distinguished themselves in the fields of social activism and justice, enterprise and corporate innovation, science and technology, green innovation, and arts and culture. They are bright, creative, passionate, bold and fearless in their pursuit of excellence and achievement. Take a moment to read each of their profiles and you will soon be bragging on them like you raised them! Meet Marques Brownlee of Hoboken, N.J. When Apple or Samsung drops a new device, there’s a good chance they’re waiting to see what Marques has to say about it. With more than 3 million YouTube subscribers, his tech reviews are a must-watch in the industry. Then there’s Kimiko Matsuda-Lawrence, who leaves a powerful legacy at Harvard University when she graduates this spring because of her activism on behalf of students of color. We’ve added two well-known performers: Black-ish actress Yara Shahidi, who is using her public platform to illuminate issues of social justice; and Simone Biles, who will be in pursuit of gymnastics gold at the Rio Summer Olympics. Jewell Jones is a political first as the youngest city councilman ever in his hometown of Inkster, Mich. Jasmyne Graham knows something about firsts. The onetime California state champion hurdler is now competing in track and field for the University of Southern California. Gabrielle Jordan would sell you the jewelry right off her neck. In fact, that’s how her high-end business got started, with her creations attracting so much attention, she’s been recognized by Inc. magazine and even has a TEDx Talk under her belt. And these are just a few of the 25 superstars on our list. It’s an inspiring group of young people, and we’re excited for you to get to know them.